First off I need to apologize for missing last week. I had a slew of friends in Sandy's path and was terribly worried about them. I still am and my thoughts and prayers are with you all. Now for this week's book. 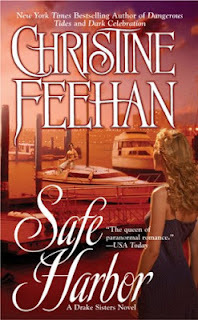 Safe Harbor by Christine Feehan is this week's tribute. This book saved my sanity and I am forever grateful to it. Safe Harbor is the 5th book in the Drake Sisters series and is about Hannah Drake and Jonas Harper. Hannah is a world famous model, but she has a secret. She hates being on public display and never wanted the life she has led. She became a model solely to please her family who felt that she was so beautiful she should pursue a career in the field. Painfully shy, she stutters in public. All she has ever wanted was to be a homebody raising a family. She has a show coming up in New York and starts asking everyone to go with her, even long time childhood friend Jonas Harper in spite of the fact that he's long been cruel to her. He disapproves of her life and calls her a Barbie Doll. But something is wrong and she reaches out for help. Everyone turns her down, Jonas included. So she heads to the show on her own. And disaster is on her heels. Jonas has loved Hannah for years but can't bear that she displays her body to the world, especially since he knows she hates it. He just doesn't know how to reach her without sniping at her. But when he is nearly killed while on an assignment for the government to take down a Russian mobster, he reaches out to her. But he can't bring himself to go with her to NY and watches instead the show on television. He gets more agitated as the show goes on. He knows something is wrong, and before his eyes on national tv she's brutally stabbed and slashed. He and her sisters get on planes and head immediately for NY. 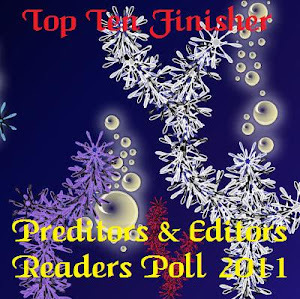 Jonas, a cop is determined to find out who is trying to kill Hannah and keep her safe. He is also forced to finally admit how much he needs her. 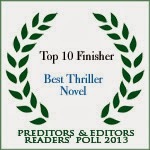 But a storm is brewing and the truth behind the attack may destroy them both. This book is sensational. And it arrived when I really needed it. It came the day my Mom was admitted to the hospital with a stomach blockage and I was afraid I'd lose her. Reading the book helped get my mind off the fear. For that reason alone I treasure this book. But beyond that, its just a really excellent story.